Happy Friday all. This is my favorite day of the week. I’m still on vacation so it has been really nice to sleep in and enjoy the lazy days of summer. I’ll be sharing a few vacation pics next week on my Really Random Tuesdays post. In Confessions of a Jane Austen Addict and Rude Awakenings of a Jane Austen Addict by Laurie Viera Rigler, Courtney Stone has a love of Jane Austen’s works. She awakens to find herself in Austen’s world in these fun, time travel themed books. 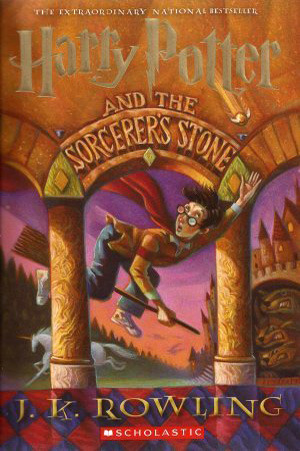 Hermione Granger from The Harry Potter Series by JK Rowling is a big time book nerd, and her bookish knowledge helps save the day a few times over. 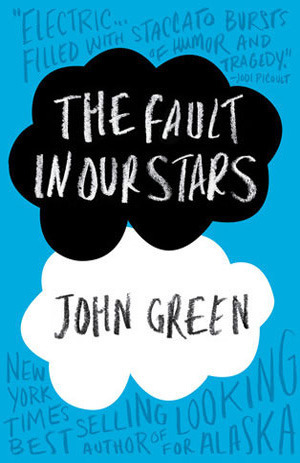 Hazel and Gus swap books in The Fault in Our Stars and one of the main plot lines is Hazel finding her favorite author so that he can tell her how her favorite book ends. 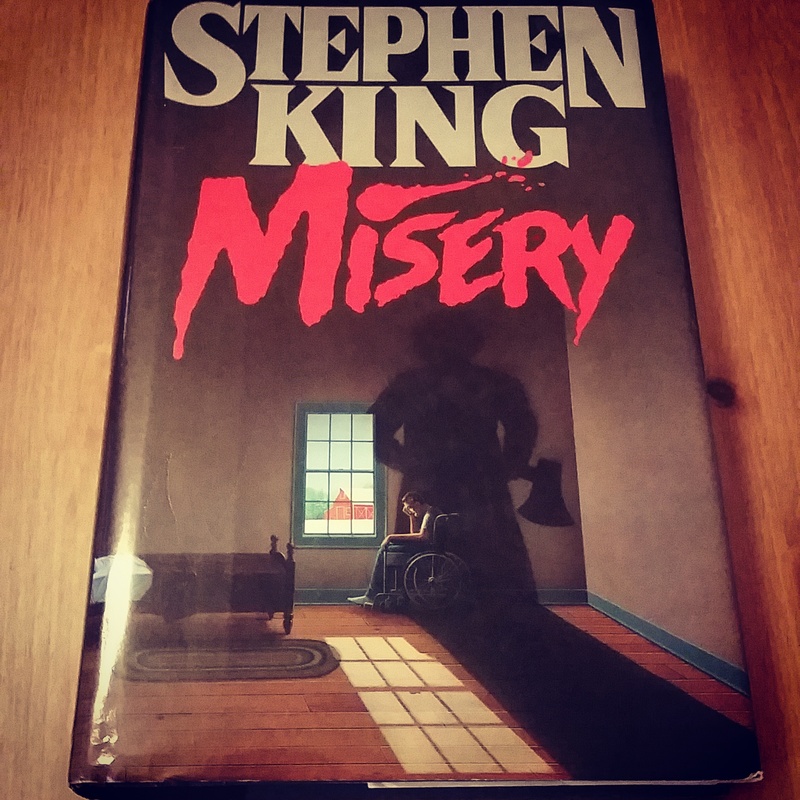 Paul Sheldon and Annie Wilkes are both bookish in Stephen King’s Misery. Paul is a bestselling writer. Unfortunately for him, he meets his biggest fan, who happens to be a book loving psychopath. King has said Misery is his love letter to his fans. This is my 1987 vintage hardcover copy that I paid about $1.00 for at a library sale. first line: It went on for one hundred sixty-three days. rated: Moving and beautifully written. The Forgiveness Stones craze is sweeping the nation—instantly recognizable pouches of stones that come with a chain letter and two simple requests: to forgive, and then to seek forgiveness. But New Orleans’ favorite talk show host, Hannah Farr, isn’t biting. Intensely private and dating the city’s mayor, Hannah has kept her very own pouch of Forgiveness Stones hidden for two years—and her dark past concealed for nearly two decades. But when Fiona Knowles, creator of the Forgiveness Stones, appears on Hannah’s show, Hannah unwittingly reveals on air details of a decades-old falling out with her mother. It’s funny because last summer around this time I was reading this author’s debut novel The Life List while on vacation. The Life List was fantastic by the way. So when I saw that Amazon Vine was offering Lori’s second novel, Sweet Forgiveness, I happily requested a copy. The storyline follows Hannah Farr, a thirty something talk show host who receives Forgiveness Stones from a former classmate who bullied her. This same old classmate has become somewhat of a celebrity after coming up with the idea of the stones and writing a book about forgiveness. The idea behind the stones is to accept one stone and someones apology and give the second stone away to ask for forgiveness or to forgive someone else. first lines: On 2 November 1755 the Queen-Empress was in labour all day with her fifteenth child. France’s beleaguered queen, Marie Antoinette, wrongly accused of uttering the infamous “Let them eat cake,” was the subject of ridicule and curiosity even before her death; she has since been the object of debate and speculation and the fascination so often accorded tragic figures in history. Married in mere girlhood, this essentially lighthearted, privileged, but otherwise unremarkable child was thrust into an unparalleled time and place, and was commanded by circumstance to play a significant role in history. Antonia Fraser’s lavish and engaging portrait of Marie Antoinette, one of the most recognizable women in European history, excites compassion and regard for all aspects of her subject, immersing the reader not only in the coming-of-age of a graceful woman, but also in the unraveling of an era. I have been immersed in the life and times of Marie Antoinette for the past few weeks. I knew next to nothing about the French Revolution or Marie Antoinette prior to reading this book so when a co-worker and retired teacher, finished reading this one she raved to me about it and lent me her copy. When I would hear the name Marie Antoinette I would think of those famous lines, “Let them eat cake”. Author Antonia Fraser starts off with the birth of Marie Antoinette in 1755 who was one of fifteen children, through her execution in 1793 at the age of 37. Like I mentioned, I really did not know much about Marie Antoinette prior to reading this book but I did know that she has gone down in history with an infamous reputation for extravagance. Antonia Fraser is obviously a fan of Marie Antoinette, her detailed biography of the former Queen of France made me see her in a different light.